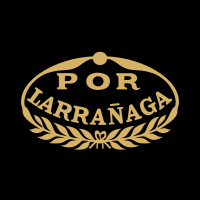 POR LARRAÑAGA IS A BRAND WITH A LONG HISTORY. Founded in 1834 it enjoys well-earned reputation for its quality and the attractiveness of its presentation. All the tobacco in the Por Larrañaga range comes from the Vuelta Abajo region and the cigars are made using methods of production — “totalmente a mano, tripa larga” — totally hand made, long filler, “totalmente a mano, tripa corta” — totally hand made, short filler.